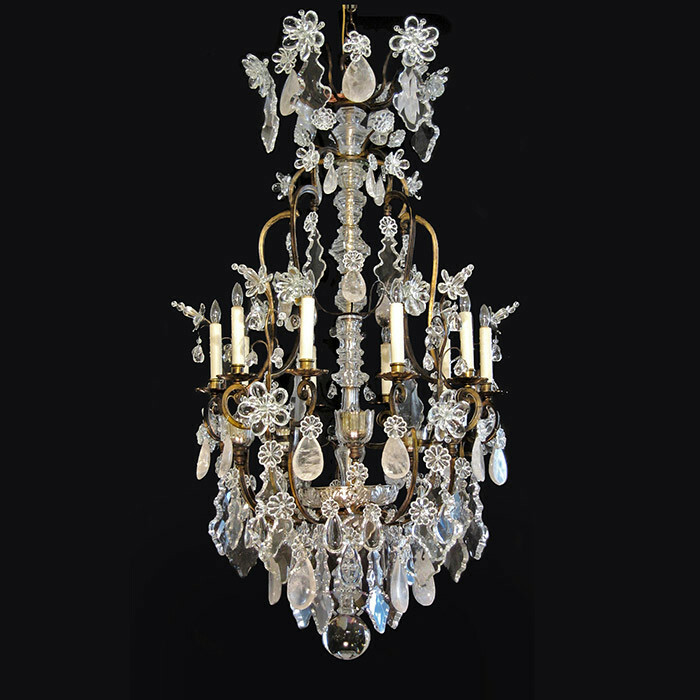 Important Maison Jansen designed 15 light chandelier. Gilt Bronze with rock crystal teardrops, crystal pendalogues, rosettes and details. Dimensions: H: 58 Diameter: 32 Inches.